My Everyday Adventures posts are a fun way to share everyday life on my site. I love sharing a little bit of my life that doesn’t have to do with food. For the last few months I have been debating on starting a new Facebook group. I have my regular Facebook page, but I try to keep that food related because people follow that page for recipes and cooking tips. I have been looking for a way to share more everyday life stuff, plus some more live videos and thought a Facebook group would be a great way to do it. I plan to do weekly Facebook live videos in the group. The topics will vary. Sometimes they will be food related and sometimes just random what I am loving updates. I would love to have you join the group. If you are interested just request to join here and I will get you approved within a few days. I made stew this week. I have shared a few stew recipes over the years, but the reality is that I rarely follow an exact recipe when making it. It is one of those things that I tend to just use what I have on hand. Sometimes I use more vegetables and sometimes less. Sometimes I make it with beef and sometimes venison. It just depends on what I have and what I need to use up. My number one tip though for the best stew is to cook it low and slow and add some beer. Yes, beer. Beer makes it so tender and adds so much flavor. 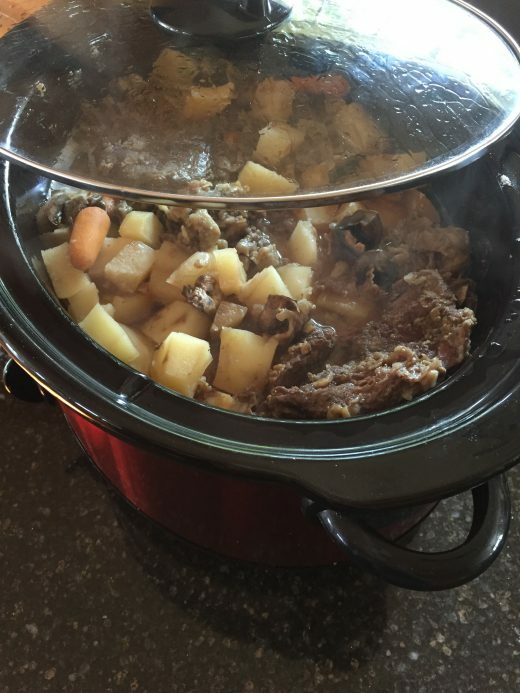 I love cooking my stew in the slow cooker. I add all the meat, vegetables, about 1 cup water or beef broth, seasoning, and then I pour a can or bottle of beer over top. Easy and delicious! I had some time last weekend to do some cooking and it saved me so much time this week. I made a large batch of soup and cooked a whole chicken in the crock pot. 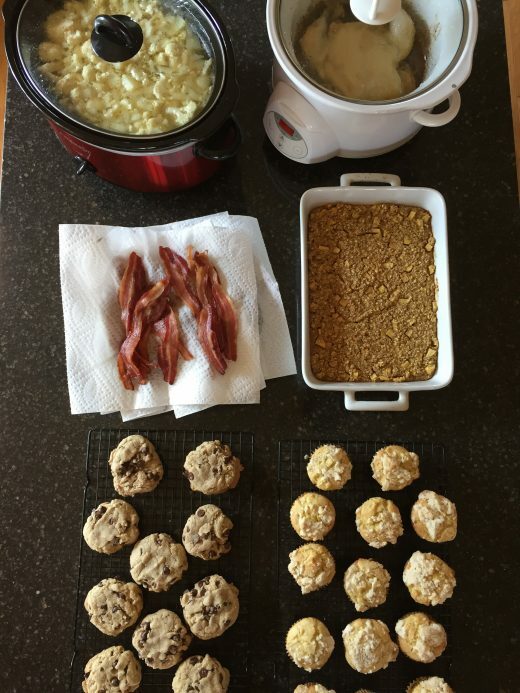 I made a pan of baked oatmeal, cookies, muffins, and cooked some bacon. It made breakfasts, dinners, and snacks so much easier this week. If you have time this weekend cook a few things ahead do it. You will be glad you did! Peppers! We didn’t plant much of a garden this year. It was just a couple of tomato plants and a couple of pepper plants. My kids did almost all the work. I did basically nothing when it came to the garden this year. I hadn’t been out to the garden in weeks and when I went out there recently I found all those peppers. It was such a nice surprise. We had fajitas one night and I cut the rest up and froze them. They will be great to have on hand this fall and winter. 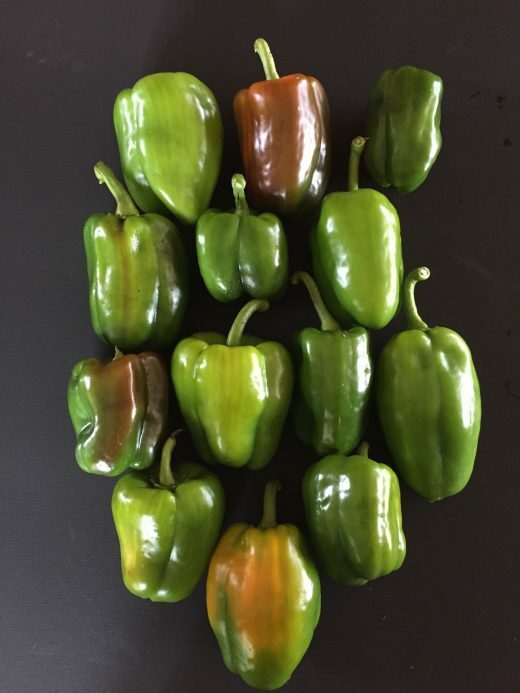 Here is how I freeze my green peppers. 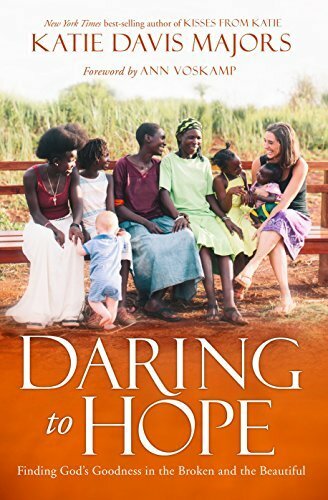 This week I started the book Daring To Hope and so far I love it! I was sent an advanced copy of the book to review and my daughter read it last month. She loved it, so I knew I had to add it to my reading pile. I read the author’s first book, Kisses for Katie, a few years ago and loved that one as well. If you are looking for a good non-fiction inspirational story then these books are a must read. My daughter is out reading me this year. She pretty much out reads me every year. She recently shared what she read in August on our book site. She reads a wide range of books, so be sure to check out her list. P.S. – Your “request to join” link takes me nowhere.